Skenderbeu win 4-2 on penalties. Match ends, Hajduk Split 2, Brøndby IF 0. Second Half ends, Hajduk Split 2, Brøndby IF 0. Substitution, Hajduk Split. Ivan Pesic replaces Marko Futacs. Edin Sehic (Hajduk Split) is shown the yellow card for a bad foul. Hany Mukhtar (Brøndby IF) is shown the yellow card for a bad foul. Frederik Ronnow (Brøndby IF) is shown the yellow card for a bad foul. Substitution, Hajduk Split. Said replaces Ante Erceg. Hjörtur Hermannsson (Brøndby IF) is shown the yellow card for a bad foul. Substitution, Hajduk Split. Edin Sehic replaces Zvonimir Kozulj. Marko Futacs (Hajduk Split) is shown the yellow card for a bad foul. 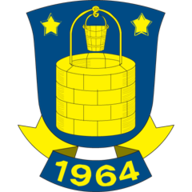 Substitution, Brøndby IF. Simon Tibbling replaces Kasper Fisker Jensen. Substitution, Brøndby IF. Zsolt Kalmár replaces Kamil Wilczek. Goal! Hajduk Split 2, Brøndby IF 0. Ante Erceg (Hajduk Split) right footed shot from the centre of the box to the high centre of the goal. Substitution, Brøndby IF. Kevin Niclas Mensah replaces Besar Halimi. Svenn Crone (Brøndby IF) is shown the yellow card for a bad foul. Goal! 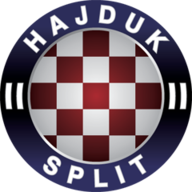 Hajduk Split 1, Brøndby IF 0. Ante Erceg (Hajduk Split) right footed shot from the centre of the box to the top left corner. Second Half begins Hajduk Split 0, Brøndby IF 0. First Half ends, Hajduk Split 0, Brøndby IF 0.